We hope you are happy with your purchase. Please read our policies below and contact us if you have any further questions. Meem Jeem is offering FREE shipping for a limited time to the United States of America only at this time. If you would like to order from another country, please contact us and we will provide you with an invoice. We offer the option to order/pick up personally from Irving, TX if you cannot wait to get your hands on your Meychain! 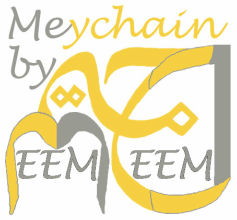 Given the popularity and/or supply constraints of some of our products, Meem Jeem may have to limit the number of products available for purchase. Trust us, we’re making them as fast as we can. Meem Jeem reserves the right to change quantities available for purchase at any time, even after you place an order. Furthermore, there may be occasions when Meem Jeem confirms your order but subsequently learns that it cannot supply the ordered product. In the event we cannot supply a product you ordered, Meem Jeem will cancel the order and refund your purchase price in full. All prices are subject to change. Limited time offers may change at anytime. Texas residents will be charged sales tax and international customers will be charged any duty fees. We only accept payment via Paypal for online orders at this time. Please contact us via phone or email if you would like others options of payment. If you are unhappy with our product, please ship it back to us within 14 days of the date you receive the product. If the item is returned in the condition it was sent within this timeframe, we’ll exchange it or offer a refund based upon the original payment method. Please allow a few days for refunds to process. Orders may be cancelled before they are shipped. Once shipped, customers may ship it back for a refund. Please be careful so that children do not choke, cut or hurt themselves with our products. Meem Jeem is not liable for any harm done to anyone with its products. Sales Policy is subject to immediate change without notice. The laws of the State of Texas govern all transactions.